Following a verbal altercation between Union Minister Ashwini Choubey and a government official over alleged violation of Model Code of Conduct, an FIR has been lodged against 150 people including Choubey. The FIR also names BJP leader Rana Pratap Singh and various other leaders. The said 150 accused have been booked under various sections of the Indian Penal Code (IPC) including 'assault or criminal force to deter public servant from discharge of his duty'. This comes after the BJP leader (Choubey) was caught on camera while having a verbal altercation with Sub Divisional Magistrate (SDM) KK Upadhyay after the official had stopped his convoy for allegedly violating MCC. In a video of the incident that occurred on Saturday night, a furious Choubey sitting on the front seat of a vehicle can be seen aggressively reacting to the official who attempted to appraise the Union Minister about election commission's order. "What's the issue? Who's order is it. Send me to jail if you have to do something. This is my vehicle and you cannot seize it," Choubey had said to an official who in turn informed him that EC's order is to confiscate the vehicles and not the individual and they will look into it. Giving clarifications over the incident, Choubey said, "I abide by the Model Code of Conduct (MCC), as I'm not the kind of guy who goes against the rules. But, I would like to mention that these people are stopping me from doing 'Chowkidari'. I will keep on raising my voice against them." 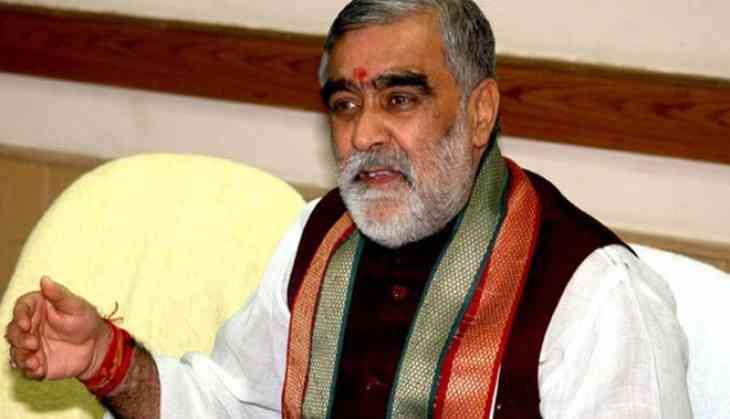 Union minister Ashwini Kumar Choubey is the sitting Member of Parliament from Buxar and has been once again fielded by BJP from the same constituency for the Lok Sabha elections 2019.